This is my attempt to make the best unofficial Sonic game possible. 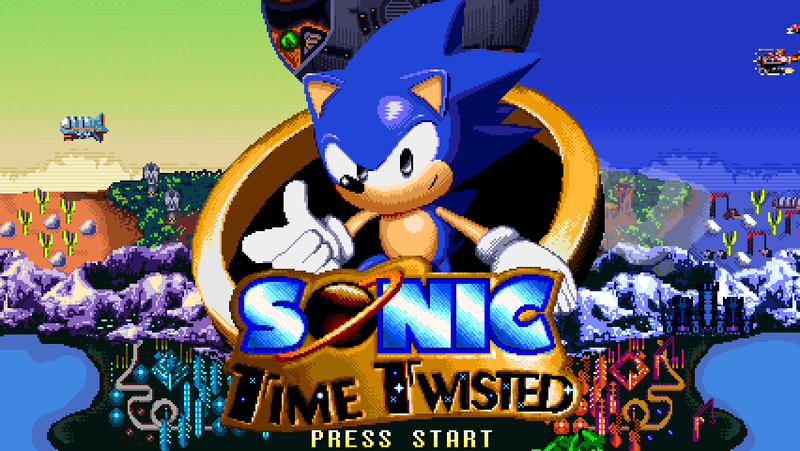 Sonic Time Twisted borrows a few elements from Sonic CD including time travel to make it one of the more unique Sonic fan games out there, while still being very true to the classic Genesis/Megadrive games. This demo has one complete round City Edge Round and the first zone of Perplex Puzzle. The first full version of Sonic Time Twisted. A classic style fan game that has Sonic zipping between the future and past across 8 zones. Sonic Time Twisted, takes about 10 years of development. It's probably the Sonic game with more development time than any other would have done in a similar way, and a revival of the excellent Sonic CD game. This game is as great as it can be!!! Brings back so many great memories, but this one right here creates all new memories!! !